Everyone is creative in their own special way. Most of the time, though, we especially assign the word ‘creativity’ to people with a gift in the visual arts. When you consider graphic designers, for example, they seem to have no limits to their creativity. It just seems to be one creative work after another for them. In reality, graphic designers are much like the rest of the world. They also have mental blocks from time to time that keep them from being creative. If you’re a graphic designer, you know what I’m talking about. It’s always a terrible day when those roadblocks come at you to take away your creativity. Here are five factors that affect a graphic designer’s creativity and how to overcome them. One big reason why graphic designers are creative is because they are risk-takers. They do things no one else would have thought and this allows them to be creative. There are times, however, when designers become afraid of risk-taking because they don’t want to fail or they don’t want to be criticized. A good way to overcome this is by remembering that failing doesn’t make you a failure. It just means you failed. Even the best people do. Realize that failure is a step to success and try to do better the next time around. Also, being criticized is normal for everyone including the most talented ones. Criticism can either make you or break you. Make sure that you know how to distinguish between a constructive criticism and a destructive one. Learn from the former and dismiss the latter. By applying these two things, you might still have some fear of risk but at least you can now take the risk despite the fear. Everyone needs clients. 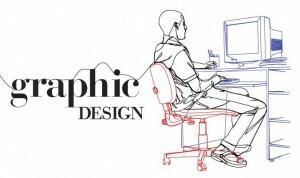 In fact, as a graphic designer, you need more of them if you want to stay in business. Sometimes, though, the clients are the ones keeping you from being creative by having unreasonable demands that you can’t keep up with them. So what do you do? First of all, if the demands are too much, make sure that you speak to them clearly and objectively, showing your clients why it is that their “requests” are not doable. Secondly, you need to realize that freedom to do whatever you want doesn’t make you creative. You are creative precisely because you can solve a visual problem in ways that others without your talent, skill, and experience cannot. So go ahead and try giving in to what your client wants. You just might realize that the client wasn’t too demanding after all. And if the client really is over-demanding, you can always drop him for another one. Problem solved. Creative people always find a way to improve on their work. But sometimes, perfectionism can keep you from being creative because if it’s not perfect for you, then you might as well do something simpler but perfect. Right? Wrong! If you want your work to be perfect, then it will be difficult to be creative. Sometimes, what makes some works of art amazing is the imperfections that you find in them. Just take a look at some paintings. They seem perfect from afar but when you examine it more closely, you can actually see some of the imperfections. Just do what you can with whatever you’re given and allow your mind to freely create without perfection as the goal. One way you can solve this perfectionism is by having different solutions to a given creative problem. By doing this, you allow others, especially your client to choose the one that’s best in their eyes. This might make you see that even with your creativity, some of the stuff you do are perfect but they’re perfectly wrong for your client and the ones that you made imperfectly but creatively are the ones your client actually needs. Perhaps one of the biggest and worst of the roadblocks to creativity is cramming. Sometimes it’s the client’s fault and at other times it’s the graphic designer’s fault. But you can’t do much about the client’s fault unless you can talk to them about giving you the job earlier. If it’s your fault and you often find yourself cramming, here’s a good solution especially if you cram most of the time. Give yourself a deadline with days or weeks to spare before the actual deadline. Have someone check on you and probably even boss you around to force you to work on the deadline you’ve set. This will get you to focus on the work you need to do earlier and give you more time to edit what you’ve done before the real deadline comes. Stress can make a person sick. It can also block your creative juices. Negative stress has no benefits at all. It will harm you and keep you from doing some of your most creative work. There are several ways to deal with stress but the most common and important ones are getting some rest, sleep, and three good meals a day. The mind simply cannot be forced to be creative with stress. Believe it or not, your mind will solve your most difficult problem after a good night’s rest and a hearty breakfast. I’m sure it has worked for you before and it will continue work for you again. Having roadblocks to creativity are normal. They happen to everyone. The key is in identifying them and solving them objectively. Hopefully, with the factors and the solutions we mentioned, we’ve helped you do just that. Alexis Thompson is an alumna from Martin College Australia, a former Mountain Backpacker and a 26 year old mother of 2 daughters, Sophie and Rhian. She is into almost all types of Music especially The Fray and Hillsong. She also has a passion in Singing and Scrap Booking. Follow her escapades on her Twitter.